So the worst kept secret in the East Midlands has now been confirmed and Frank Lampard has been announced as the new manager of Derby County. Some may be surprised at what route that the club has gone down. Lampard has achieved much in theme, both as a Chelsea legend and England International of some 106 caps, but he is a complete rookie in the management game. Derby have tried many different approaches in addressing the management situation and all have fallen short in their aim of reaching the Premier League. Lampard has ambitions to make it as a manager and this is a very big gig at which to start this period of his footballing career. He will have to be shown patience and given time. 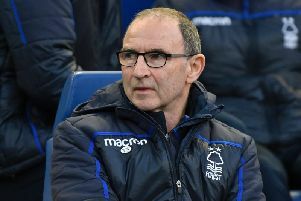 Those expecting instant success may have to reassess their hopes for the next season as Derby will have to make adjustments to their team budget after years of spending money by past bosses. Perhaps with Lampard having gained much respect during his playing days, he will be able to pull off some good loan deals? Whatever anyones thoughts are about this appointment, it will ensure that the club remain under the spotlight by the national media. He will be scrutinised heavily by the red tops. Derby County fans will have to take the following into consideration too when they make their own minds up about him - Rookie boss, reduced budget, learning his trade. We will need to get behind him from day one! Whoever is appointed it never satisfies everyone. Welcome to Pride Park Frank Lampard, I hoe your stay is a long and successful one.